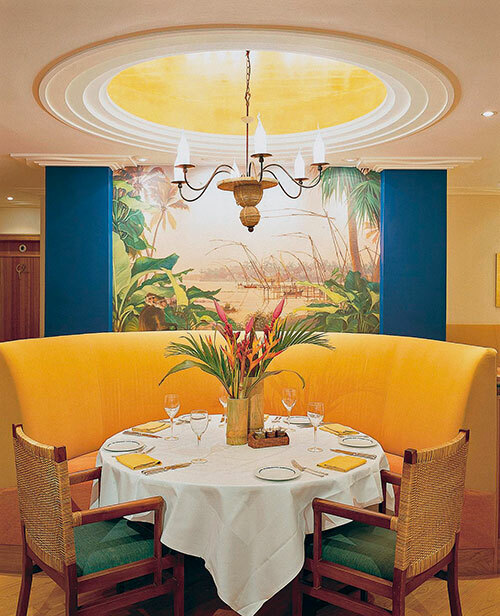 Quillon provides delectable fare, with the focus on Kerala seafood and vegetarian dishes dominating the menu. 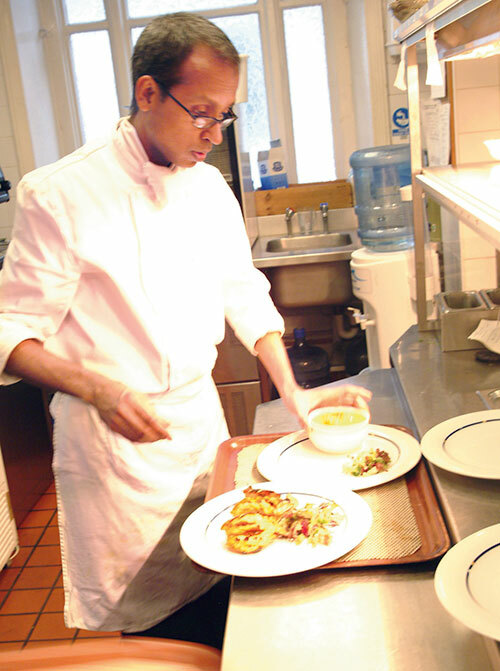 Chef Shriram sources the most authentic ingredients from India for his recipes. “One has to be clear about what you want and address the present contemporary tastes. There has to be progress in anything you create for it to be remembered,” he says. “I had gone to Nobu recently for dinner and decided to replicate their signature dish of black cod with miso, using only Indian ingredients. I used tamarind and jaggery instead of miso and special regional chillies instead of wasabi. I am happy to say the recipe was well received.” The chef’s repertoire includes fresh seasonal vegetables that are fused in unusual combinations such as asparagus and green beans with mustard seeds, chillies and grated coconut, (poriyal), Mangalorean chicken (kori gassi), cauliflower chilli fry (gobi kempu bezule) and avial among other fragrant dishes.